Like Nobody’s Watching: When Oscar and his friends hack into the school’s new surveillance system, the plan is simple: find the footage, blackmail the bullies and leave no fingerprints. But the sense of power it gives them is hard to let go. There are so many more wrongs to right. This is a gripping story of surveillance, privacy, cyberbullying, power and conformity. L.J. 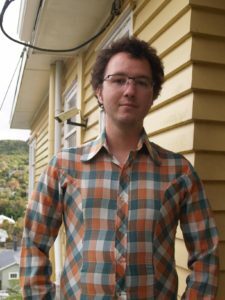 Ritchie is a Wellington-based young adult author. He has previously worked in education and the arts and co-hosts the local film podcast, ‘Never Repeats’. His interest in surveillance culture was sparked while he was studying for a double major in Media Studies and Religious Studies. During teacher training, he began to think about how various forms of surveillance encouraged conformity in schools. He’s translated this interest into his first novel. Rob Hack has worked as an insurance salesman, greenkeeper, builder, personal trainer, gym owner, factory hand, gardener, shop assistant and more. He currently works as a handyman to buy petrol so he can visit his grandchildren each week and second-hand poetry books. 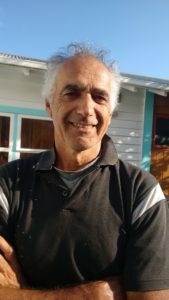 He has lived in Paekakariki since 2005. 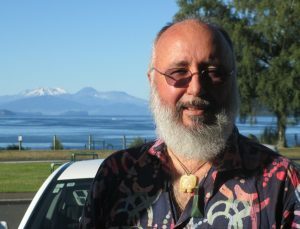 He has performed his poems in Kapiti and Wellington for 15 years and hosts a poetry show on the Paekakariki radio called ‘Not at the Table: poetry and stuff’. Title to be confirmed: This memoir is a unique combination of narrative, essays and line drawings that tell the story of a six-year-old girl developing acute arthritis as she navigates her way from childhood into adulthood. She forms a relationship with pain, treads a fine line with loss and always in the background is the practical care of her parents and siblings. The essays delve deeply into pain, loss and identity. 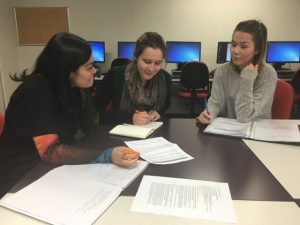 Trish Harris has been writing, editing, creating and tutoring for the last thirty years, and is passionate about stories that truly represent our world. 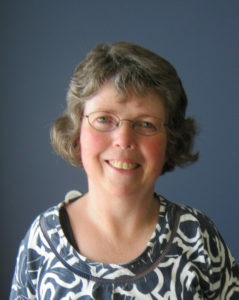 Her work has been published in SPORT, New Zealand Listener, the School Journal and broadcast on Radio New Zealand. She’s co-founded and run writing workshops, and has worked as a researcher and interviewer for TV and radio. Rudy Castañeda López, author of Open Your Eyes, Jackson Ryder (Escalator Press 2015) is a New Zealand-Mexican-American author. We wanted to know what Rudy thought about the present political and social climate of the United States. Open Your Eyes, Jackson Ryder delves into the social changes of the United States (U.S.) in the 1960s. If the novel was set in the present, what difference would that make? In the 1960s there was hope for the future but now the U.S. doesn’t see itself as the hero nation it was after World War Two. The Vietnam War strained the confidence of the nation and it has limped through the last 43 years. There is a feeling now of disillusionment and a collective willingness to hide heads in the sand on issues of the environment, social and economic equity. The current political bombast, extreme religious views, illogical gun love and culture of fear are all symptoms of this fall from grace. As a Mexican-American author, what are your thoughts on the current U.S. presidential election? I wish I could say it was a source of pride that a Latino, Ted Cruz, was running for president but in this case it’s embarrassing. Cruz is a narrow-thinking, shifty character. He is more dangerous than Donald Trump because he seems more legitimate but he isn’t. The Republicans could put a dead raccoon up for president and it would probably win. What do you think of Donald Trump’s plan to build a wall right along the Mexican-U.S. border? In 2012, 47% of farmworkers in the U.S. were foreign-born and the vast majority of those were from Mexico. The U.S. depends on a cheap, hard-working labour force. If Trump kept Mexicans out, the economy would collapse. Mexicans were in what is now the Southwest for more than 160 years before it was the USA. I’m proud of my Mexican heritage, which is why I want to keep writing about it. New Zealand’s first ever ‘Book Night’ will be held on 24 May. This event is being run by the Christchurch-based Book Discussion Scheme and is open to the public. ‘Book Night’ encourages friends and family to gather around to read, share thoughts and promote literary discussion. So dive into your favourite or current read whether it be a magazine, ebook or comic, and share in the fun of ‘Book Night’! At Escalator Press we love to keep you updated about local events and publications. We look forward to following the progress of our new authors. We have so many exciting plans for this year – remember to watch this space!